Click here for all the details on our new Affordable Smiles Plan! Gum Disease significantly affects overall health - and you probably have it! Time for a "Smile Update"? From Braces & Dental Implants to smile makeovers - investing in you! Your Smile. Your Dentist. Your Health. Experience is second to none when it comes to your health. 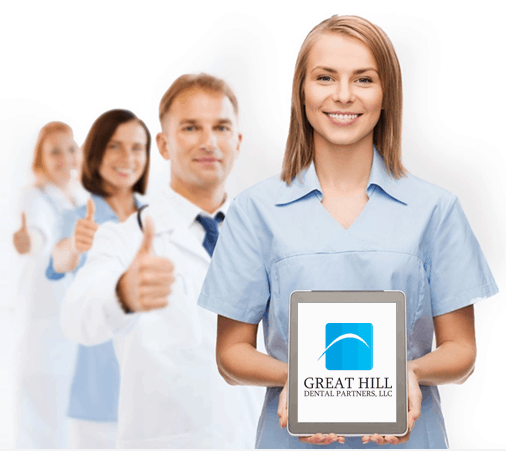 Great Hill Dental Partners provides you with the opportunity to have all your dental needs met with the continuity of care that comes with a multi-specialty, multi-site practice. You will be able to get referrals within our group, never having to have to leave the office, and complete your care with the same staff every step of the way. With this team-centered approach, we are able to manage your overall dental health more efficiently and more conveniently. We practice “whole health dentistry”.